Amadeus Acoustic Solutions, exclusive UK distributor of BOXY modular studios, has announced that it will be bringing this revolutionary turnkey construction system to UK broadcasting, editing and production industries, debuting at BVE 2017 at ExCeL, London (28 Feb – 2 Mar). 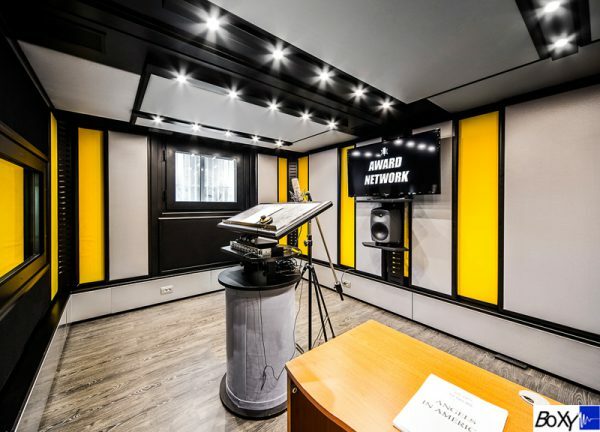 These beautifully designed, rapidly installed modular spaces are well recognised in Europe having been the studio of choice for clients such as RDS (Rome and Naples), Radio Pico (Mirandola), Studi Award (Rome), Energy Mastering (Milan) and Deutsche Welle (Berlin). And, in the UK, a number of music studios, including big names such as Sarm Music Village, Sony BMG and Terminal Studios have taken advantage of this highly effective system. With a broadcasting pedigree already firmly established in Europe by BOXY creators, B-BEng, and Amadeus Acoustic Solutions’ own extensive BOXY client list, the partnership now brings this no fuss, high performance build to UK film, radio and video. So why is BOXY ‘The Future’ of studio design and build? 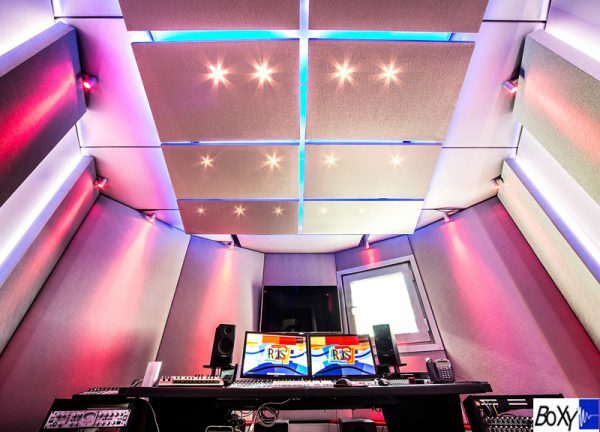 Compared to traditional build methods, BOXY modular studios provide faster, cleaner, turnkey installation with no hidden costs and a guaranteed internal reverberation time of 0.2 seconds. The studios are designed, manufactured and delivered in sections, making on-site installation extremely fast and efficient – 75% faster than traditional construction method – resulting in a far cleaner, more manageable site. Beautifully designed and crafted, the studios’ modularity affords exceptional flexibility during the design stage making best use of all available studio space and thereby enabling the client to create the perfect environment for a variety of uses. And the BOXY studio system is the only modular soundproofed system capable of guaranteeing final performance.